IL-23 receptor antibody recognizes interleukin-23 receptor, also known as IL23R. This antibody has been extensively validated for western blotting using whole cell lysates. Mouse anti Human interleukin-23 receptor antibody recognizes the interleukin-23 (IL-23) receptor. Encoded by the IL23R gene, the IL-23 receptor is a subunit of the receptor for IL23A/IL23. This protein pairs with the receptor molecule IL12RB1/IL12Rbeta1, and both are required for IL23A signaling. This protein associates constitutively with Janus kinase 2 (JAK2), and also binds to transcription activator STAT3 in a ligand-dependent manner (provided by RefSeq, Jul 2008). 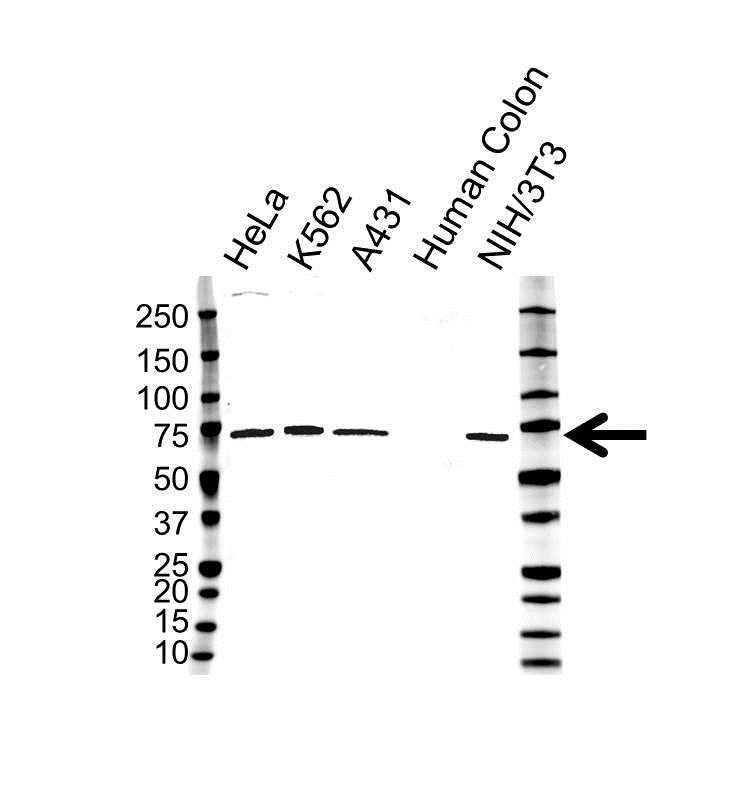 Mouse anti Human interleukin-23 receptor antibody detects a band of 69 kDa. The antibody has been extensively validated for western blotting using whole cell lysates.